Happy FRIDAY!!! 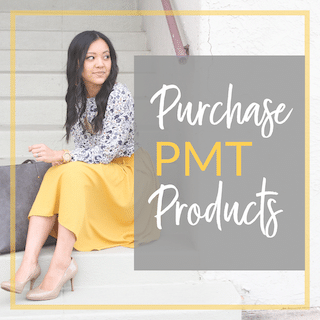 If you’ve been following along this week hopefully you’ve seen that registration for the PMT Fall 2017 Outfit Challenge opened! There’s about 10 days left until the challenge officially begins, so join us! The Facebook group, which is for participants of the challenges, is popping and already helping people hone their style by answering any and all style questions like, “Help! I bought two pairs of brown ankle boots and can’t decide!” Or, “I don’t like leopard print! What can I substitute instead?” Or, “Are jeans supposed to fit this way? [selfie included]” The Facebook group really is the BEST style resource and a place where no question about style is dumb. I love that it’s full of down-to-earth, spectacularly normal women who just want to look “cute, but normal”–my favorite kind of style. 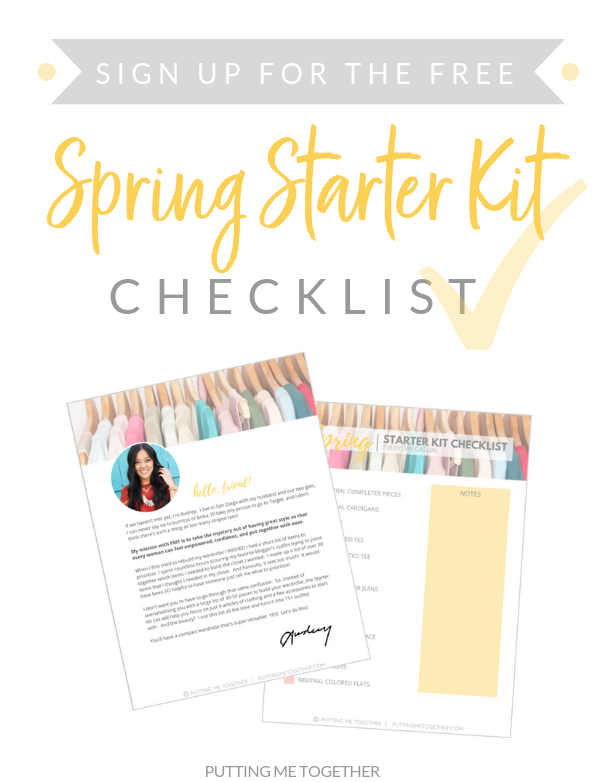 There are hundreds of women eager to build you up and help you build up your closet! 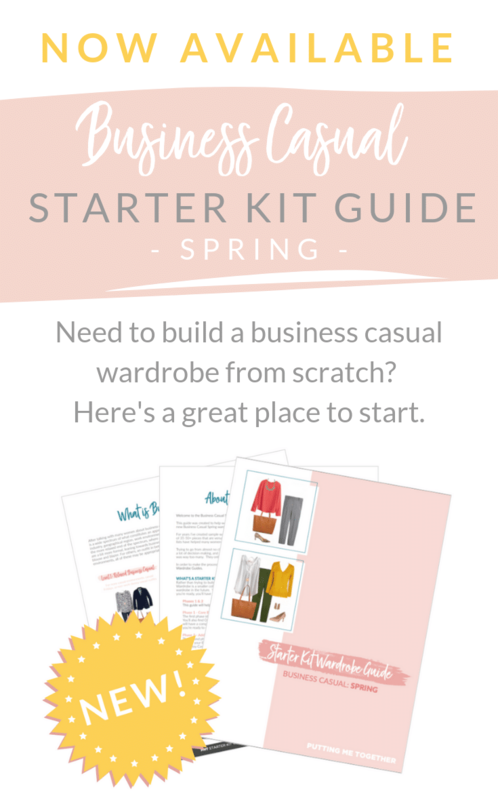 Access to the FB group is totally worth the cost of registration alone, but then you also get a great capsule wardrobe and 48 days of outfits so you don’t have to think about what to wear. Woohoo! Anyway, I digress. 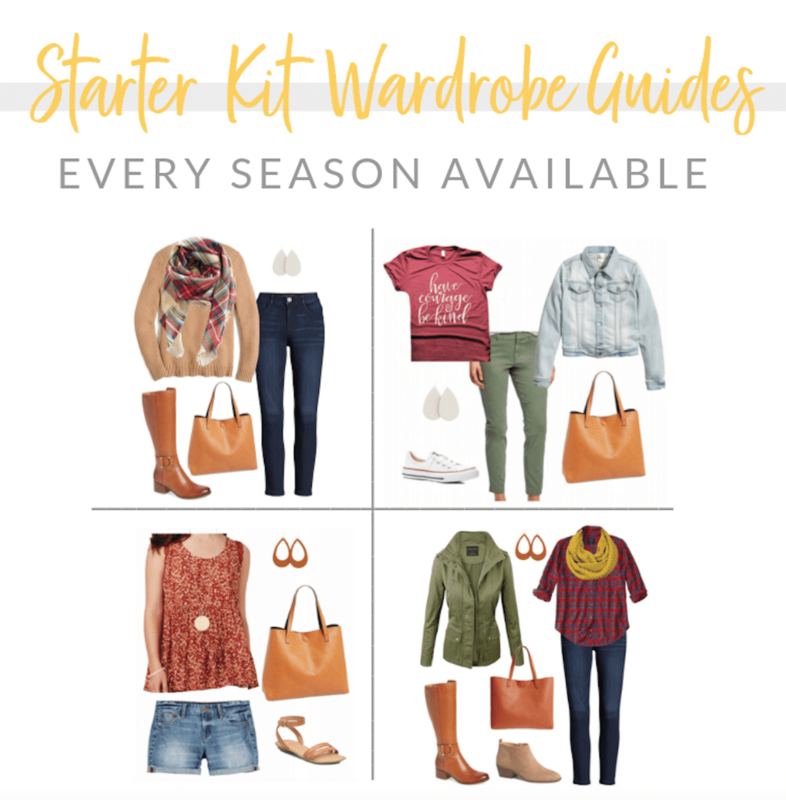 I just really love that FB group and think it’ll benefit you!Below is the capsule wardrobe for the Fall Challenge. You can shop each of the categories by clicking into the links that say “Tops,” “Bottoms,” etc. below. There are options for regular, petite, plus, an tall sizing, and business casual pants! 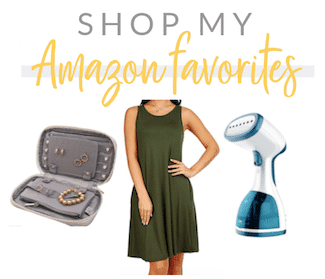 Included in each category link is a TON of other info about each item to adjust this capsule to fit your style and what you already have in your closet. The original policy was that there would be no refunds since upon purchase you are able to download all the materials at once. However, several women have messaged me wondering whether the challenge would work for them (questions regarding business casual, maternity, breastfeeding, etc.) I’m sure manyyyyy more of you have similar hesitations. I get it. Not being able to get a refund if you’ve never done one of these challenges with me before can be unsettling. If you’ve been on the fence but really want to try it risk free, now’s the time! If you try it and it doesn’t work for you, you can fill out THIS form requesting a refund to tell me 1) What you were hoping for from it or why you purchased it in the first place, and 2) why it didn’t work out for you. Please note if you receive a refund, you will be removed from the Facebook group. Hope that gives some of you more peace of mind to take a leap and give it a shot! 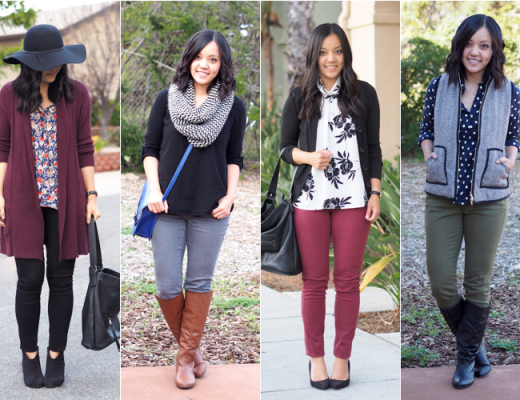 Build a mix-and-match wardrobe of pieces that will make you feel great everyday! Hi Meredith! Thanks for joining! 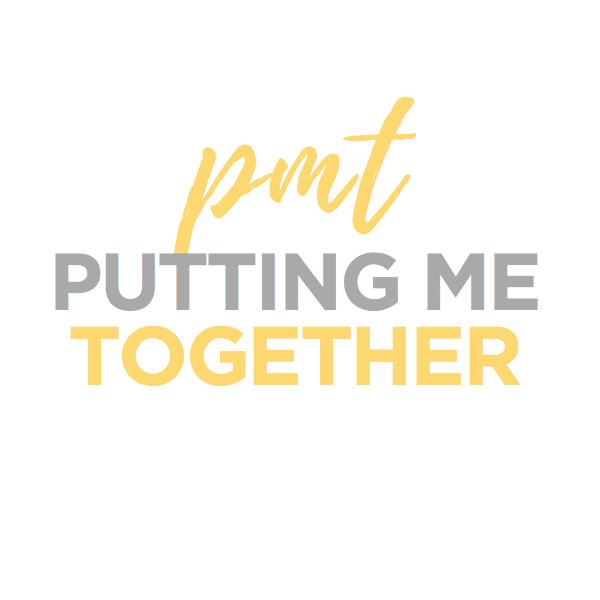 Did you receive the welcome email from Putting Me Together? The FB group link is in that email. Hi Audrey! My sister introduced me to this challenge and I’m really highly considering it. I do want to find out first if the outfits are bike-commuter friendly. That has been my biggest challenge with my fashion look especially going to work. Any advice on this? Thank you! Man, that’s tough. I’ve seen people ride bikes in a-line skirts, but I know most people wouldn’t consider that bike-commuter friendly, haha! Also depends how sweaty you get from the ride! When my husband rode to work, he was riding for 20 minutes up a hill and got pretty gross, so he had to change once he got to work. Most of the outfits involve jeans/pants, except like THREE with a pencil skirt and 7 with dresses (can all be soft, stretchy, long, jersey knit dresses or whatever is easiest–they’re styled casually). 3/7 of those dress outfits are on the weekend like if people go to church or brunch, so it’s really only 4 during the weekdays across 5 weeks–less than once a week. Many people skip the skirt days or sub jeans, even if they’re not commuting. They either sub jeans or wear one of the 14 bonus outfits instead. If you looked at the preview outfits sprinkled through the last posts, it’s a pretty good indicator of the overall style. Mostly casual. Since we are now offering refunds, you can purchase it, look at the outfits, even try it for a week before the refund period ends, and see if it works for you. If it doesn’t, that’s totally understandable and you can get a refund! This is so helpful! 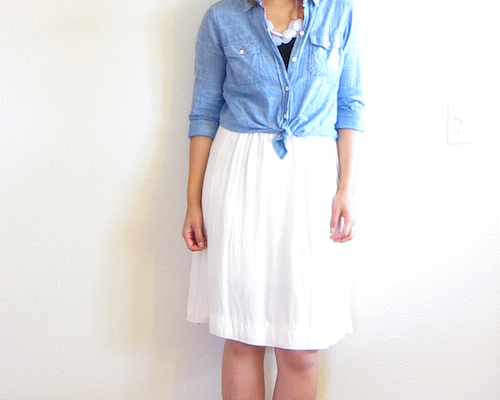 I may just keep the skirt outfits for church or for date nights. Thank you so much, Audrey!! Audrey, I am so relieved that refunds are possible, I am one of those people who were on the fence about doing the challenge because I am in a ‘business casual’ environment 40 hours a week (unfortunately, lol!). Although I was about 80% sure I could make it work without seeing the PDF with ALL the outfits, I was still hesitating because I wanted to be 100% sure, so I didn’t ‘waste’ my moolah! Definitely going to give the challenge a shot now. So excited to have found your blog recently, so much inspiration here, and you are ADORABLE! So glad to hear this, Jennifer! Make sure you dive into the FB group because so many women there need to adapt it to business casual and they’re talking about how they’re doing it in there! Great place to ask any and all questions for how to change pieces to work for you. And welcome to the blog too! Glad you’re enjoying it!! I sure will! I can’t wait to get started… I’m shopping for the ‘missing links’ this weekend! And I’m pretty stoked about buying a pair of leopard print shoes, I’ve never had a pair before! So happy I stumbled across your page and found this awesome challenge, can’t wait to start! Woohoo! Welcome, and thanks for joining! I’ve been debating but I did it, I joined the challenge! You put together (no pun intended) outfits for me for entire fall season ahead so I couldn’t miss out on that. Thank you! Welcome, Monika!! Thanks for joining! Hi Audrey! 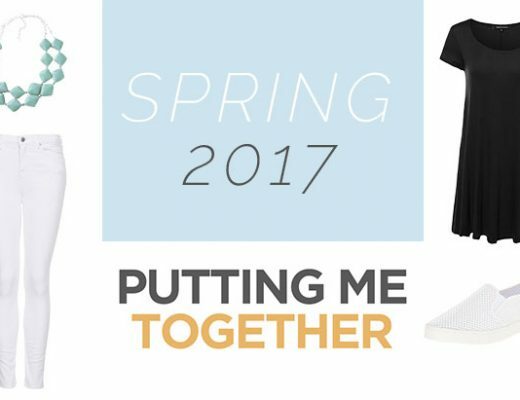 I joined the challenge and I’m so excited for the next few weeks of outfits! I got my download, but is there another email we’re going to get telling us about the facebook group? I thought that was part of it but the challenge started today and I don’t have any info about it. Thanks. Hi Jolene! Yes, there’s supposed to be another email. Can you please email me with your email address that you registered with? I need it to look into your order and see what’s going on. How does this work with laundry? Do you wear the same shirt multiple times in a week, or is it more spread out? Hi Ashlee! Usually it’s spread out enough to only need to do laundry about once a week or less. Hello! I am in love with this and want to try but it is already completed. Can I start now? Is there a discount rate? Thank you! Hi Beth! I’ve been meaning to take down the sale page because it will be discounted soon once the two bonus weeks are completed. However, the discounted version does not include access to the Facebook group. Also, if your weather is already cold I’d encourage you to wait a couple of months until the winter challenge begins in January. The fall challenge is for fall weather, not for wintry temps!